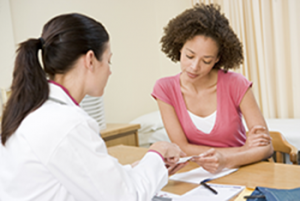 For your reproductive and overall health, don't let your visits to your gynecologist lapse. When it comes to women's health, "normal" is a subjective term. Menstrual cycles can vary, breast tissue is different, even body temperatures are disparate. Understanding what's normal for your body takes the help of a trained gynecologist like those at Complete Women's Healthcare in Alpharetta. It is recommended that young women should first visit their gynecologist between the ages of 13 to 15. By establishing a history at your gynecologist's office, you'll become better educated on the various aspects of your body and therefore more attuned to any changes. You probably already know why it's important to visit your dentist twice a year: to keep track of any problems your teeth might be experiencing - cavities, gum disease, and so on - since your last appointment. The same logic can be applied to visiting your Alpharetta gynecologist. Yearly visits for pelvic exams and Pap smears aren't just healthy; these tests can be life-saving if cancerous growths are found on the cervix or ovaries. The frequency of visits to your Alpharetta gynecologist will vary based on your age and health. If it's been awhile since your last visit to your gynecologist, or you have a teenage daughter, we at Complete Women's Healthcare encourage you to contact our Alpharetta, Georgia office to set up an appointment. We pride ourselves on being thorough, gentle, and understanding with each of our patients.